33x4 minute exposures (about 2.25 hours) from the Davis Mountains, October 2008. Canon 20Da (modified), AP 900GTO mount, and Nikon 28mm f2.8 lens at f4. 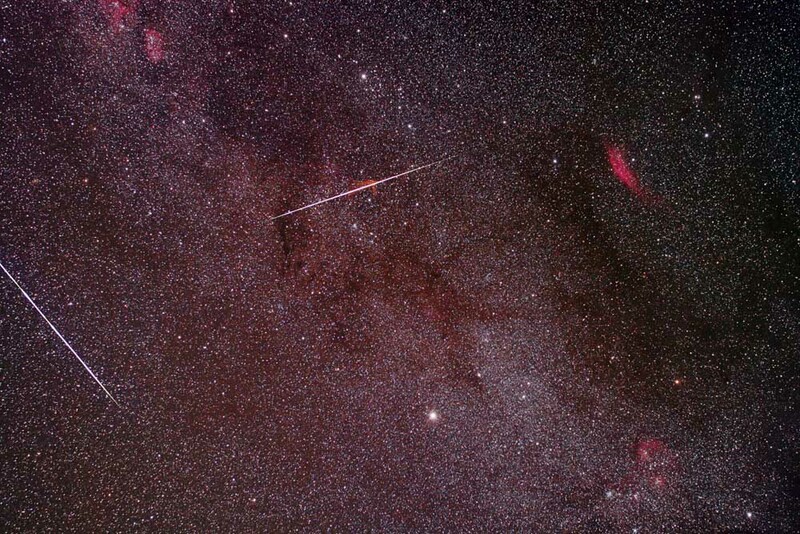 As of 2015, I'm now thinking these are probably satellites instead of shooting stars! These are definitely shooting stars. I spent a lot of time trying to fix gradients in the image, after starting with my Astronomy Image Processing Workflow. 30 * 4 min for 2 hours total exposure from the Davis Mountains, October 2008. Canon 20Da (modified), AP 900GTO mount, and Nikon 28mm f2.8 lens at f4. 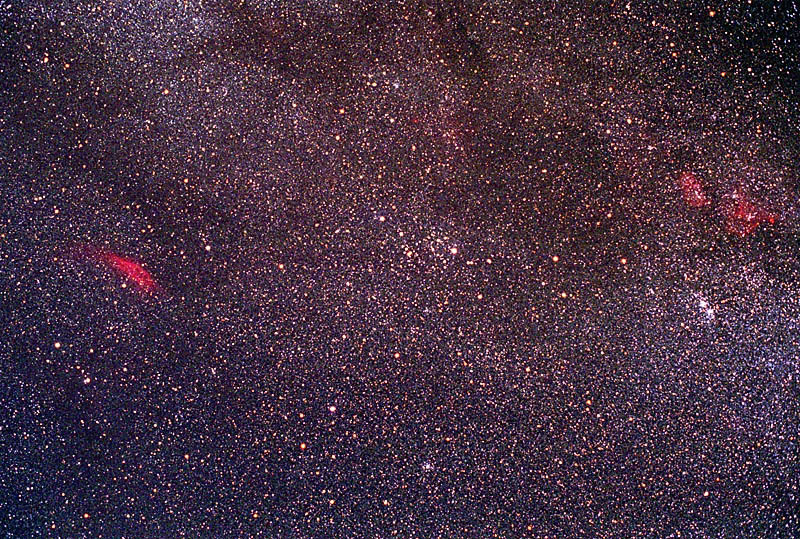 This shot is centered on the Alpha Perseus Association, which looks like an 'S' in binoculars. 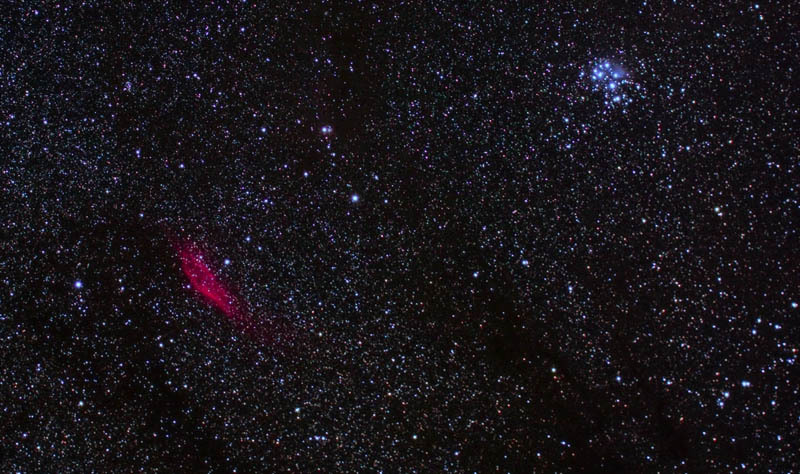 On the far right is the famous Double Cluster (NGC869&884). 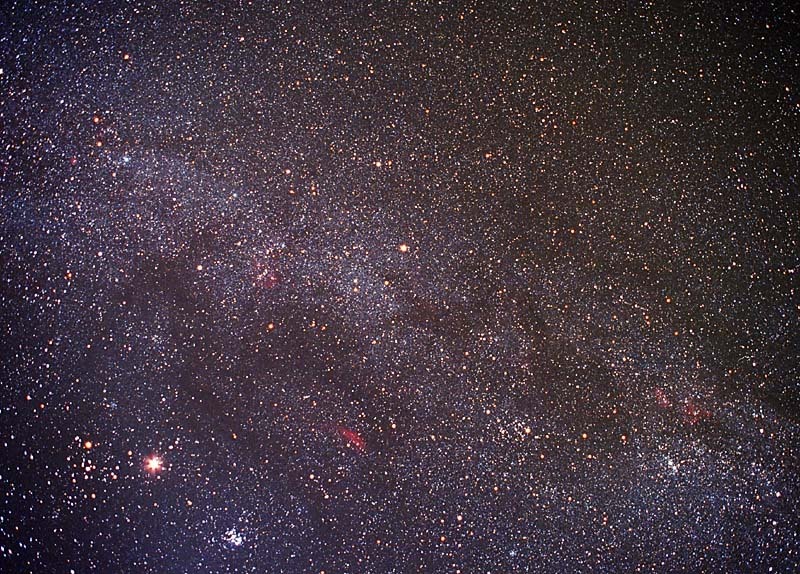 Above that you can see the red nebulous areas of IC1805 (right) and IC1848 (left). These are known as the "Heart and Soul" nebulae, with IC 1848 being the Soul and IC 1805 being the Heart. IC1805 does look a like a heart in close-ups., and some astroimagers have referred to IC1805 as the "Sole" in that it does resemble the sole of a shoe in close-ups.